This week we celebrate Veterans. It’s our opportunity to say thank you to men and women who have done things for us that we don’t in most cases know about to ensure we have a future that’s brighter. As Christians let’s lead the way in showing our gratitude to the soldiers: past, present, and future. What are you doing for Veterans Day? 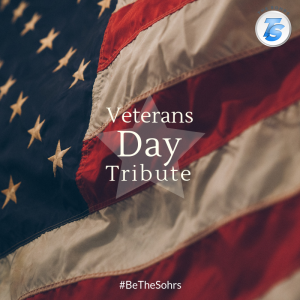 Share your Veterans Day traditions. Tag a man or woman in uniform. Past, Present, or Future. Thank a soldier. Past, Present, or Future.